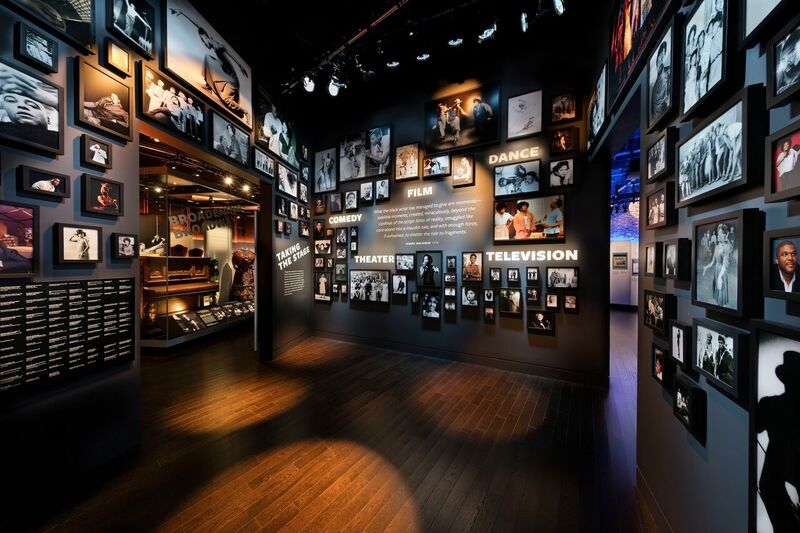 The Smithsonian’s National Museum of African American History and Culture is accepting submissions for its film festival Oct. 24–27. The Smithsonian African American Film Festival is a multi-day cinematic experience taking place every other year and focused on celebrating African American visual culture and film. Established and emerging filmmakers have until Friday, June 22, to register works via www.nmaahc.si.edu/filmfest. The film festival is organized by Rhea L. Combs, director of the museum’s Earl W. and Amanda Stafford Center for African American Media Arts (CAAMA). The Smithsonian African American Film Festival aims to showcase historical and contemporary time-based media works that engage with the African American and African diasporic experience by providing experiences that fosters engagement between filmmakers, scholars and the public. The festival is designed to discover and showcase works of cultural significance and provide a platform for well-known and lesser-known African American image makers. Works that may not otherwise receive substantial theatrical attention will be featured along with films by established filmmakers. It will attract diverse filmmakers, visitors from around the world and significant African American image makers spanning more than 60 years of production. Films will compete in categories: Narrative Feature, Documentary Feature, Narrative Short, Documentary Short and Experimental & Animation. In addition to the jury competition, the festival will feature cinematic works from the CAAMA collection; among them are Claudine, a 1970s romantic comedy starring film icons Diahann Carroll and James Earl Jones; I Am Somebody, a 1970 documentary from director Madeline Anderson on the all-black female hospital workers’ strike in South Carolina in 1969; and the restoration premiere of Malcolm X Struggle for Freedom, a film that portrays Malcolm X during the evolution of his worldview. Thematic programing provides a unique opportunity to link the films to the museum’s exhibitions. Exhibitions “Power of Place” and “Cultural Expressions” will anchor the film screenings and the panel discussions. The festival’s schedule includes the Washington, D.C., premiere of Milford Graves Full Mantis, the first feature-length portrait of renowned percussionist Milford Graves, exploring his kaleidoscopic creativity and relentless curiosity; Boom for Real, directed by Sara Driver, spotlighting the formative, late teenage years of visual artist Jean-Michel Basquiat; and the 25th anniversary screening of Haile Gerima’s Sankofa, a cinematic time-traveling masterpiece that tells the story of slavery in the African diaspora from the perspective of the enslaved. In addition to film screenings, programming will include master classes and engaging discussions with filmmakers and film scholars on filmmaking, visual culture and representation. Festival highlights include a world premiere screening Oct. 24, three consecutive days of masterclasses in editing, storytelling and cinematography, and an awards brunch Saturday, Oct. 27. Pioneering filmmaker Madeline Anderson will be one of the artists honored during the festival. The website will be updated regularly with new details on programming. A number of notable works will be inducted into the CAAMA Canon. Many of the works have already been acquired by the National Museum of African American History and Culture for its permanent collection in recognition of artists’ contributions to the understanding of African American history and culture. Filmmakers and artists whose works are inducted into the CAAMA Canon will be recognized at a ceremony Thursday, Oct. 25. The Earl W. and Amanda Stafford Center for African American Media Arts showcases the National Museum of African American History and Culture’s dynamic image collection through changing exhibitions of still and moving images, publications and public programs. The CAAMA resource center and digital archive foster and support scholarship through publications and programs focused on the role, meaning and influence of images by and about African Americans and other people of African descent.